"Hit the Beach or Lake"
I used Close to my Heart: Artbooking. I love how the pattern peaks out from the palm tree image! Beautiful CAS card! 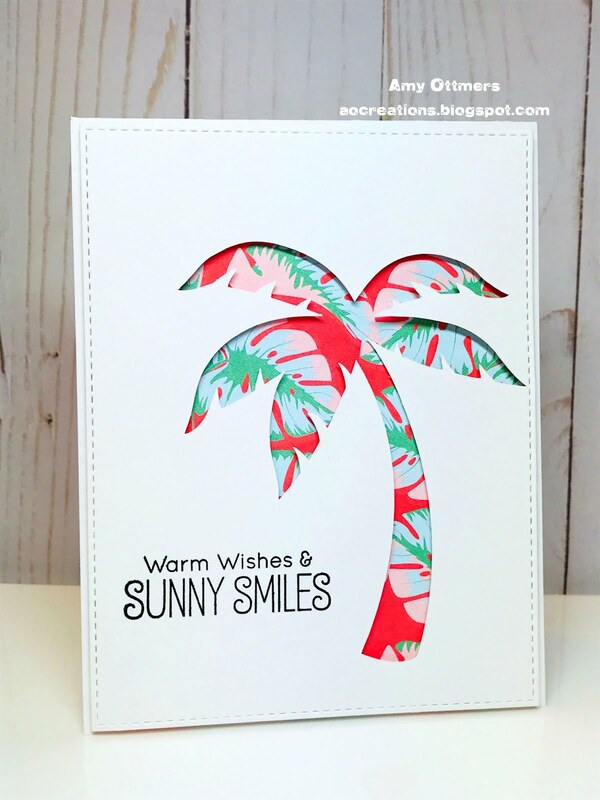 Like how the pattern peeked out from the Palm Tree cutout on your card so much that I used your idea. Will bee submitting my creation to challenge soon. Submitted my card to the challenge that your card was my inspiration for.